An agent for change, Maxhosa by Laduma is one of Africa’s finest knitwear designers and innovators. Pushing to move his Xhosa culture forward, Laduma set out to explore knitwear design solutions suitable for amakrwala initiates. Reinterpreting Xhosa traditions to dress up in new-dignified formal clothing for a six-month stint, Laduma created a modern take on traditional beadwork patterns, symbolisms, and colors inspired by his South African root’s initiation. The Xhosa people believe that your feet could cary you to occasions you never anticipated you’d appear in, directly translated in Xhosa context as: “Unyawo alunampumlo”. Let them notice your charming style subtly with these Xhosa-Inspired Ikat Blue-Grey Print Socks by Laduma. 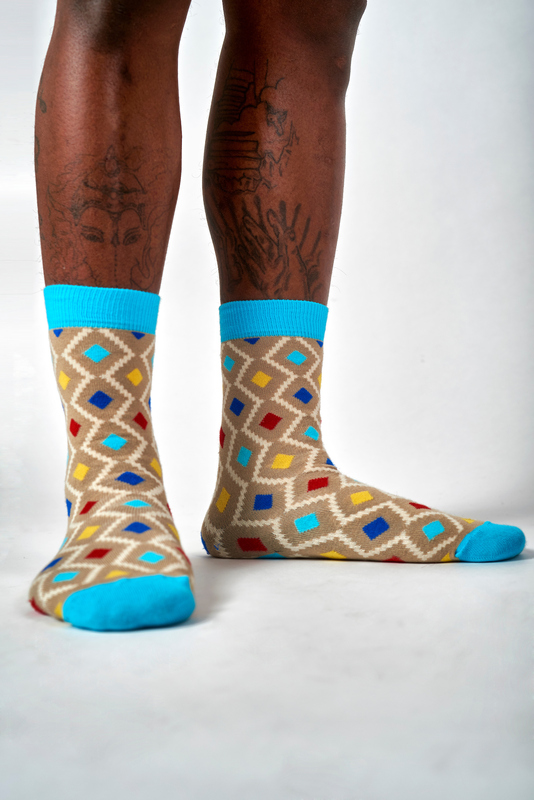 Featuring a vibrant Xhosa-inspired triple triangle pattern and rib knit sky blue color blocking, the designer socks are luxury at its finest and made of 79% bamboo. 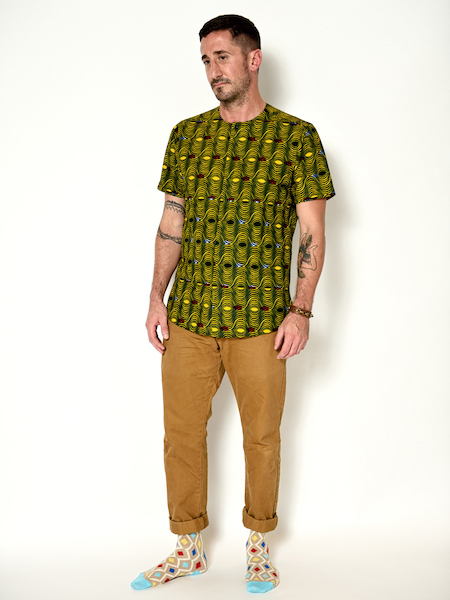 Take measures into your own hands and amplify your style potential with these idyllic socks.